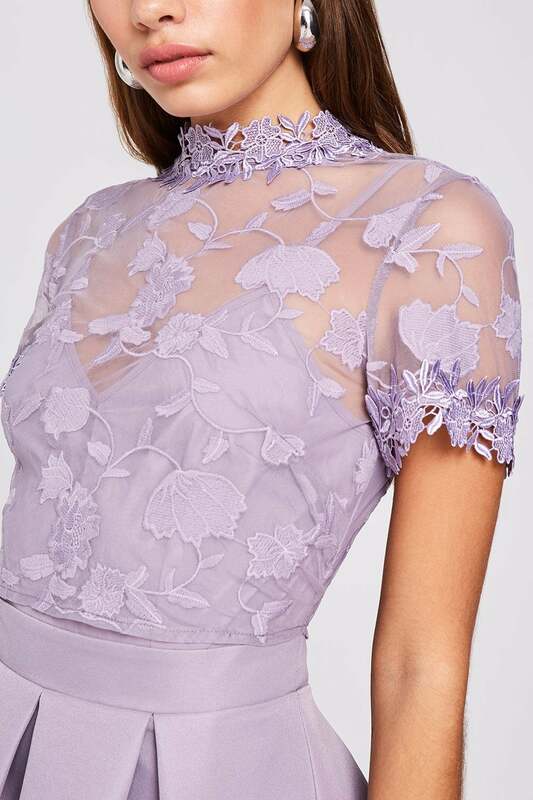 Knee-length dress with embroidered-mesh overlay on the bodice. Short sleeves, lace-trim neckline and skater skirt. Button and zip fastening.